Cooking is one of the most significant ceremonies in life. The kitchen is the heart and soul of every home. It is where considerable time is spent every day, the place where the family gathers in the morning, and where you wind down at night over dinner or maybe some wine. You would want to make sure that this vital part of your house reflects who you are. The art of kitchen design is in the detailing—form and function should be your first thoughts. So whether you are looking to install a residential or a commercial kitchen, you would want to make sure that your space is efficiently designed and highly functional and practical. One of the best features that makes a good kitchen design has custom kitchen cabinets. Make sure you know what you are looking for by following these tips to buying custom kitchen cabinets. You have to consider your budget when choosing what type of cabinet to outfit your kitchen with. You can choose from stock, semi-custom or fully-custom. Stock cabinets are the most economical choice. They are usually sold at home improvement stores and are mostly pre-assembled. But there’s limited availability of colors and style. Semi-custom cabinets allow for a more precise fit for your kitchen because it offers more style options and considerations. Custom cabinets are made to your exact specifications. Though it is the most expensive option, it can include many added features you have purposely chosen and installed according to your preference. You have to decide if you want framed or frameless cabinets. Framed are made of a box and face frame, to which the doors and drawers attach. But if you are leaning towards a more contemporary design, you can go for frameless, also known as European-style. The face frame is skipped, and the doors and drawers attach directly to the cabinet box. You can tell that a cabinet is well-built if it has solid wood drawers with dovetail joinery rather than stapled particleboard. Full-extension drawer guides are preferable to integrated rails. Appreciate the importance of detailing. Useful features such as a pullout trash can or a built-in charging station can bring a much-welcome efficiency to your kitchen. It may increase your cost a little extra but adding more upgrades will spell the difference. 5. Consider replacing your old cabinets. Revitalize your current cabinets by painting or refinishing them. Applying new veneers to face frames and ends will give a new look to your old cabinets. Renovating by doing inexpensive upgrades is a cost-effective way of bringing a new life to your kitchen. 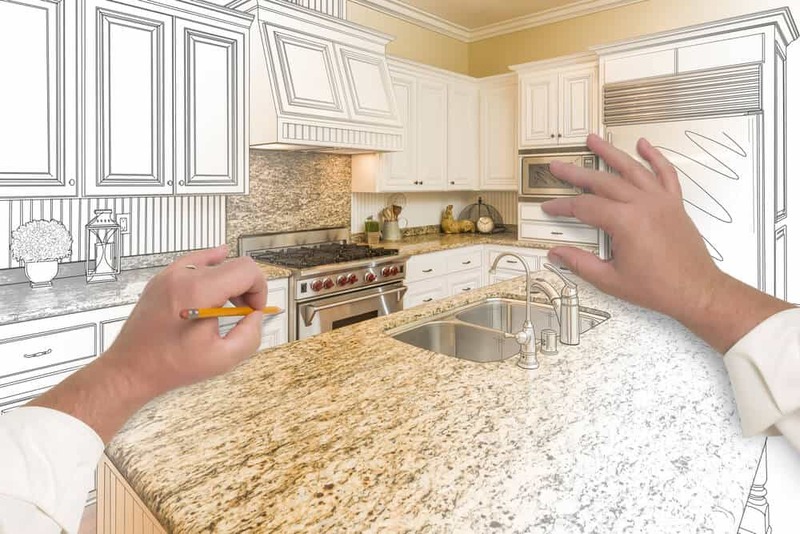 Kitchen cabinets are a valuable purchase, but they are definitely worth the price when it comes to making your space the dream kitchen you imagine it to be. Design, build, and install a great kitchen with attention to detail and use the best materials possible to achieve the quality kitchen you envision and make it a reality.